There was a daring robbery in the downtown area on Monday afternoon. 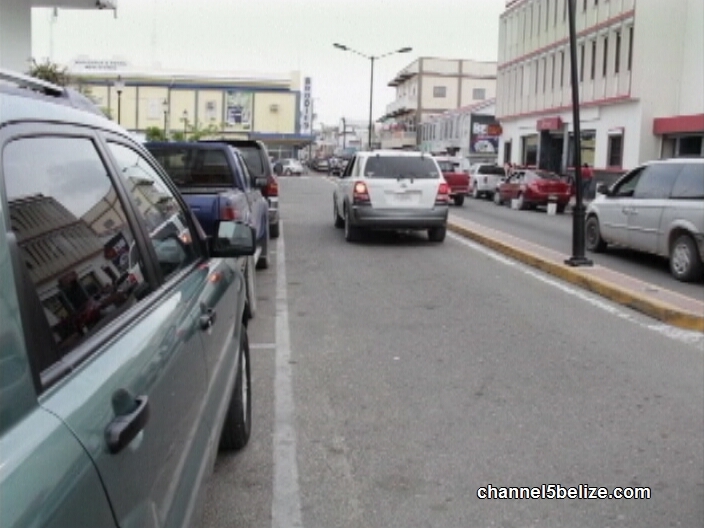 A Taiwanese member of staff at the Embassy concluded transactions and had just exited the Belize Bank on Albert Street when he was pounced upon. The driver of the diplomatic mission was accosted by a lone gunman in the parking lot of the bank. He was carrying a manila envelope with seventy thousand Belize dollars. Police say that that the gunman held him a gunpoint and demanded the money. Fearing for his life, the driver handed over the envelope with the money which belongs to the Embassy. The mugger then got away on a bicycle that was parked nearby. Police are investigating all leads include the possibility that the robbery was orchestrated from within. One minor has been detained and is under question by the police. In other news from the police, thieves made away with a government vehicle sometime between June thirtieth and July first. It is black and gray four-door 2011 Toyota Hilux with Cayo license plate thirteen fifty-eight. The Hilux was parked at the Lands Department compound in Belmopan when it went missing. The vehicle was assigned to the Solid Waste Management Department of the Ministry of Natural Resources, which is located in the Market Square Area of Belmopan. Just last year, there was a string of stolen Hilux reported in Belmopan. From the Ministry of Health alone four Hilux were reported stolen in the first nine months of 2014, including one taken right from outside the Western Regional Hospital’s administrator’s office. Added to those, three other Hilux were stolen—one from OIRSA, D.O.E. and Ministry of Lands. Around that same time, another Hilux was stolen, but later recovered belonging to the Department of Archaeology. Do You Support the Repeal of the Petrocaribe Loans Act?